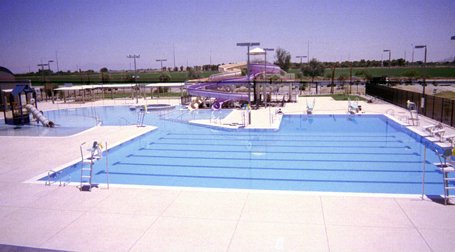 In 2000, Counsilman-Hunsaker, in collaboration with Rafael Architects, evaluated and designed a Master Plan for the City of Chandler’s entire park system. From the Master Plan’s research and data report, the city chose to build a new family aquatic center at the Hamilton High School site. The facility is used for competitive, leisure, and lesson programming and hosts both community and high school events.